If you’re a Roku user and a Sling TV subscriber, your experience is about to get a whole lot better. 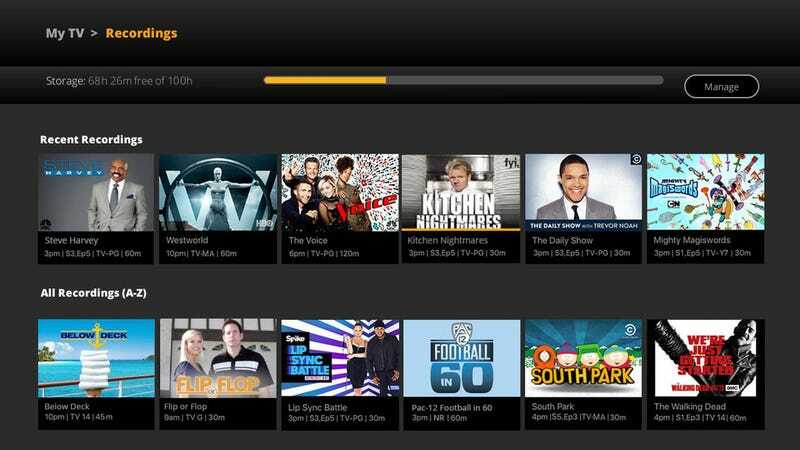 Sling announced today that it is going to roll out a new cloud DVR beta program to Roku users in December. Sling TV is a service that offers live TV (and some on-demand) channels over the internet. Pricing starts at $20 a month, and that gets users access to live networks such as ESPN, AMC, and CNN. The new cloud DVR program, which is invitation-only for now, will let Sling TV subscribers record programs to watch later. There is no 28-day restriction on recordings (something common on other cloud DVR services, like the PlayStation Vue), and users will have access to up to 100 hours of recording at no additional charge. It’s not clear what the charge will be (or if there will even be one), when the service officially launches. The cloud DVR feature will be available to single-stream Sling subscribers (Sling Orange) and multi-stream Sling subscribers (Sling Blue). Sling also says that you can record multiple programs at once, so no need to worry about recording conflicts. The company did mention that DVR functionality won’t be available on all channels but didn’t specify which ones would be left out.